Proto-col collagen capsules can offer you an easy way to help reduce fine lines and wrinkles as well as increase skin elasticity. It is a daily nutritional supplement formula that harnesses the power of pure collagen to work internally on the signs of ageing. Both men and women can take these Capsules regularly to tackle ageing damage and support skin health. By using these capsules with pure collagen, you can help to reduce the appearance of fine lines and slow the ageing process by replenishing collagen in your body in a natural way. After consulting your healthcare practitioner, you can begin the daily recommended dose of Proto-col collagen capsules to plump up your skin. 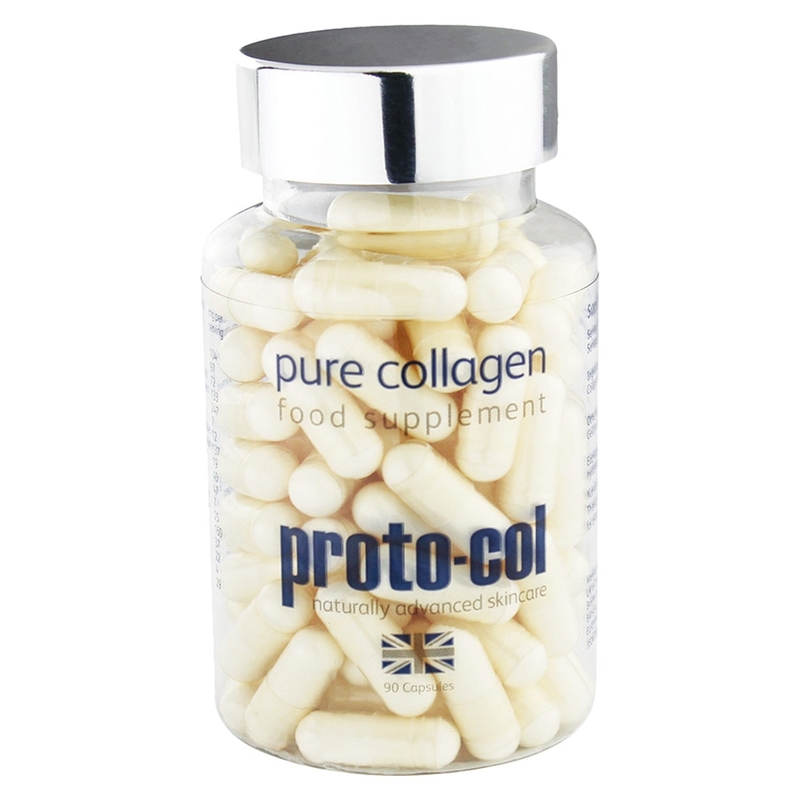 What are proto-col Collagen Capsules? This pure and potent formula is developed with 400mg of collagen per capsule to support the natural levels of collagen in the body. With sufficient levels of collagen, you can gradually see improvement in the skin’s elasticity and firmness, reducing the appearance of fine lines and wrinkles. The Capsules are best taken before bed, as the first phase of sleep is when maximum repair and regeneration takes place. Every skin is prone to aging differently but new skin cells ensure that the softness and smoothness are maintained. These new skin cells begin to move up through your skin's layers with the help of collagen. Collagen is a hard, insoluble, and fibrous protein that makes up to 40% of all protein found in the human body naturally. It is critical to health of hair, nails and skin because give the skin strength and elasticity. 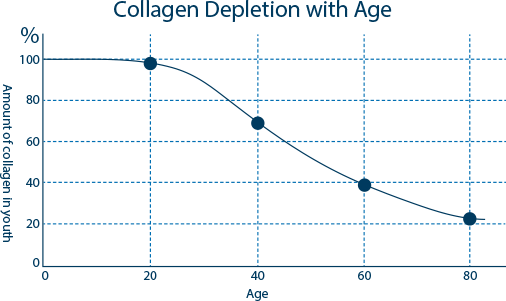 With age, the body starts losing its ability to produce collagen. Most often Collagen is restorable and supplements like proto col collagen capsules can help you do this. Notably, this is the first brand that came up with idea of collagen supplementation for skin health. It has been noticed that depletion in collagen levels takes its toll on skin, hair, nails and even bones. This supplement is made with collagen hydrosate to help deal with these problems. It not only supplies this essential protein but may also boost the production to grow new cells. During the course of time, proto-col ™ Collagen Capsules may help reduce the appearance of fine lines, wrinkles and spots. These capsules only contain 1200mg of pure collagen sourced from bovine hide, making this product unsuitable for vegetarians. How to take collagen capsules? All men and women over 18 years can use this supplement to naturally deal with fine lines and wrinkles. You can take 3 proto-col ™ Collagen Capsules in a day with a glassful of water. It is preferable to consume the supplement in the evening before bedtime and at least one hour after eating. When you are at an alpha sleep mode the body’s regeneration and rejuvenation mechanism is at its best. This can allow the collagen to work at its optimum level to help reduce wrinkles and fine lines. You can consult with your doctor before beginning the dose or increasing the intake. Ensure optimum intake of water all day long. Any nutritious thing that you take may require some time to set into your body’s internal system. Even the absorption levels differ from person to person. Same applies to Proto-col Collagen Capsules. For optimal results we recommend you to carry on with the course of these capsules for over three months. There are no known side effects of this supplement due to its natural formulation and sensitive ingredients to the internal body. If you are using any medication (especially due to hormonal imbalances), consult your doctor first. Pregnant and breastfeeding mothers should also refrain from use. How to order proto-col ™ Collagen Capsules? 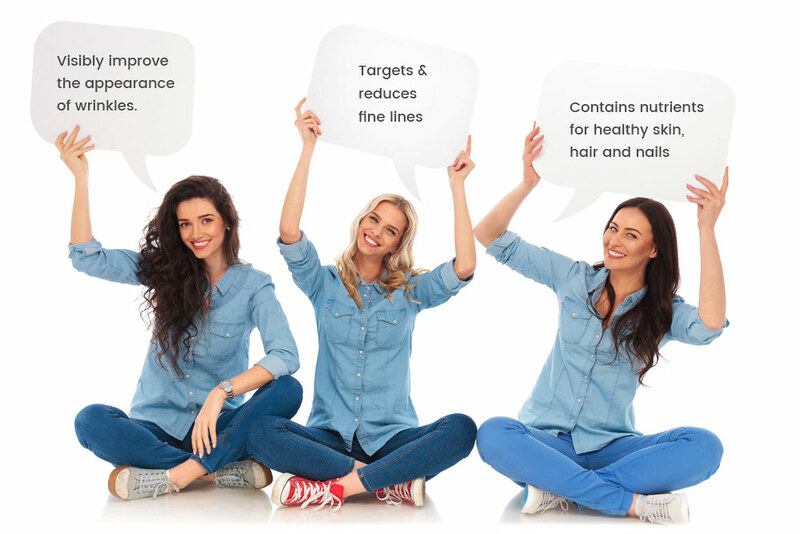 Ordering at SkinCareTotal couldn't be easier. Simply click on the 'add to basket' button with a package and enter the simple checkout procedure. You will be prompted with a number of delivery and payment methods to choose from to suit your needs. If you order before 4.00pm you will receive your order the very next working day. Join the thousands of satisfied customers that have started to find this unique collagen inducing supplement and skip all the expensive surgery and anti-ageing creams today.